One of the famous posters designed in 1914 by graphic artist Alfred Leete. The First World War was the first truly worldwide conflict. It was sparked by an assassination in Sarajevo on 28 June 1914. Germany squared up to Russia and then France and Britain were drawn in to defend their allies. There was no radio or television and most people locally would have little knowledge of the events in Europe. Practically everyone could read and write but not every family could afford a newspaper. Even if they did look at the Rothwell Courier and Times there was no mention of the crisis until after the war started. Life in Oulton and Woodlesford before the war was reasonably good. Most women stayed at home bringing up large families whilst their husbands tended to work within walking or cycling distance. By then there were about 1000 men at Water Haigh colliery which opened in 1911. Armitage’s quarry was exporting grindstones worldwide and their distinctive bricks had been used to build Claremont View, or Titanic Row, in 1912. The shiny red engines of the Midland Railway raced through Woodlesford night and day hauling expresses between London and Scotland. Bentley’s brewery employed about 200 workers with its horse drawn drays and steam wagons passing through the village on their way to make deliveries. Not everything was perfect though. Diptheria, scarlet fever and tuberculosis were common diseases exacerbated by poor housing conditions. Beecroft Yard, known as Hell’s Jet, was particularly bad. In February 1914 a fire gutted the wooden lock-up shop of pork butcher George Moss on Aberford Road and in April the miners were on strike for two weeks in a minimum wage dispute. Spending too long in the pub on Saturday night often meant a summons from the local bobby. In May quarryman Walter Gosney was 5 shillings out pocket for being drunk and disorderley. His soberer neighbours played billiards at the Institute, among them joiner Sydney Lockwood and brewer’s clerk John Butterick. The weather in the summer of 1914 was hot and sunny and in July many villagers went to a pageant in the grounds of Swillington Park. Their lives began to change though on August 4th when Britain declared war against Germany. 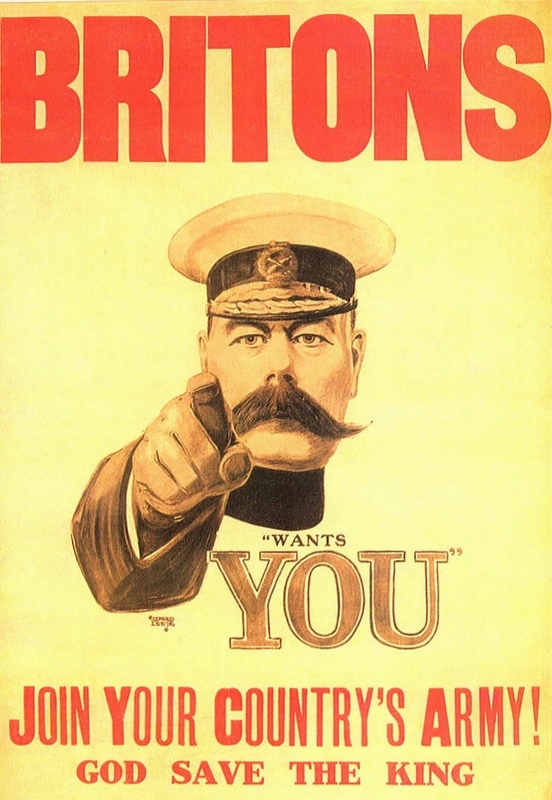 A few days later Lord Kitchener, the new Secretary of State for War, issued his famous declaration ,”Your Country Needs You,” and men began to volunteer for a series of New Armies to reinforce the existing Regular Army and Territorial Force. Brave territorials what a happy crowd are we! Boys who have always done their best. A week later a meeting was called at the Harold Hall. It started with the singing of “God Save the King” after which John Farrer, land agent for the Calverleys, said it was the most important ever gathering held there. 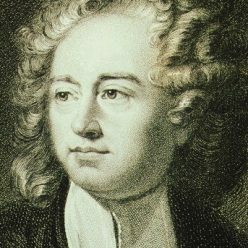 “We have met here before many times, many happy times, but the present occasion is the saddest. We have met to assist the ladies, who are proposing to supply garments for those who are injured in the war. Nothing appeals more to the English people than to help their comrades in distress,” he said. £25 was raised from the better off villagers. By the middle of September a Roll of Honour of 35 names of those who had enlisted, or returned as reservists, was placed in Oulton church and printed in the paper. One of the youngest was quarry labourer’s son Harry Hopkinson, 17, from White Street who went to the Army Service Corps which supplied troops at the front. He was joined by Richard Whitworth, 19, a mechanic in a clothing factory. His father had been a coachman for the Calverley family but by then they had left the village and he was the caretaker of an empty Oulton Hall. A few weeks later it became a home for Belgian refugees forced to flee by the German advance and in 1918 it was turned into a hospital for officers with shell shock. Already serving when war broke out was Colin Nicholson. He had joined the Scots Guards in 1907 and holds the sad distinction of being the first from the neighbourhood to die in the Great War. He was a valet to a captain and was part of the British Expeditionary Force sent to try and stop the German advance. He took part in the first major battle at Mons on the 23rd of August and then the heavy fighting as they retreated to the gates of Paris. During September he was part of a counter attack along the Marne and Aisne rivers which forced the Germans back, setting the stage for four years of trench warfare. Colin Nicholson, who was married with a 2 year old son, was 26 when he was killed on 12 November 1914 during the First Battle of Ypres. His battalion was practically destroyed in fighting near a farm at Gheluvelt Wood near the Menin Road. “They did great execution of the enemy until attacked by infantry from the wood and they were at last overwhelmed,” says the official history. There was a strong sense of patriotism in the early days of the war. Many thought it would be over by Christmas and the horrors of the slaughter in the trenches from snipers, shells and gas were yet to come. Several families said goodbye to brothers. Student teacher Albert Nettleton, 24, was a member of the Leeds Rifles (7th Bn), a territorial unit destined for France in April 1915 where they fought at Ypres, the Somme, and Passchendaele. His brother Percy, 21, a publisher’s clerk, joined the Leeds Pals, one the battalions of friends and workmates who served together. First he was sent to Egypt to defend the Suez Canal but returned to the Western Front and was wounded a few months later. Deliveryman William Scurrah, 24, and his younger brother, Charley, 17, a worker on the coal screens on the pit top at Water Haigh, went too. Charley didn’t come back. He was a few months past his 18th birthday when he died from his wounds on the first day of the Battle of Loos, the largest British offensive in 1915. A sad day for their mother, Louisa, who had lost their stone mason father 17 years earlier. Later there were other tragedies. Pit pony driver Albert Britton and his younger brother Ernest, a labourer at the Yorkshire Copper Works, lived at The Hollins where their father had been a carpenter for the Calverleys. They joined different regiments but died within days of each other in July 1916. Albert was 32, his brother 30. Both were buried in France. Albert died on the first day of the Battle of the Somme as did engineering apprentice Fred Flockton who was 22. He left behind his widowed mother at Bentley Square. His father had been a bricklayer. Fred was in the Leeds Pals and on the morning of 1 July 1916 they had to attack towards the village of Serre, advancing from a line of trees. Zero Hour, when they were due to “go over the top,” was 7.30am but they were shelled in their trenches before that. When they advanced into No Man’s Land they met heavy machine gun fire. A few reached the German barbed wire but got no further. 15 officers died. Fred and Albert were amongst the 233 other ranks who were killed. Many more were wounded. Of that first wave of volunteers from Oulton and Woodlesford three were to die. As the war progressed more than 200 men from the township joined up. Eventually 64 names were to be carved in stone from Armitage’s quarry on the war memorial which was unveiled in 1926.